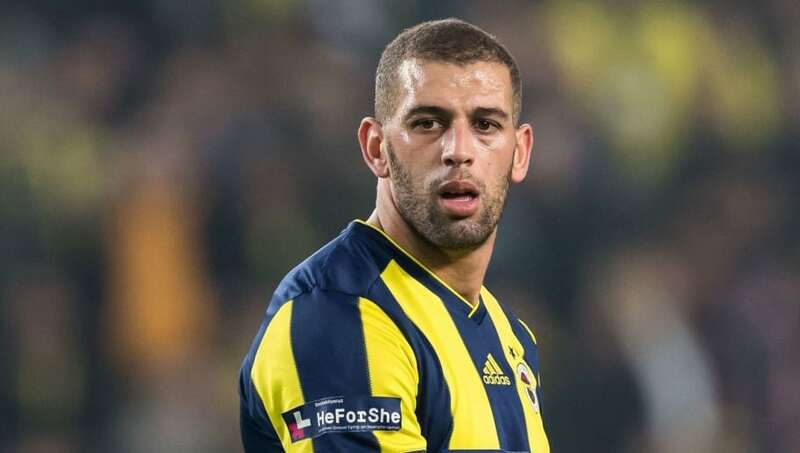 ​Premier League side Southampton have entered the race to sign Fenerbache forward Islam Slimani who is on loan from Leicester City. The Algerian international has struggled to make an impact at the Turkish club, scoring only one goal all season. With the team surprisingly fighting against relegation, the striker's bad form has left fans of the club highly frustrated. Slimani has reportedly attracted interest from a number of clubs, including former side Sporting CP, Celtic and Aston Villa. DZ Football have reported that Fenerbache have grown too frustrated with the striker and are looking to terminate his loan deal. To describe his tenure at the club as unsuccessful might be an understatement, but Southampton fans will be hoping he can rekindle the form he showed at former club Sporting CP. ​​It's fair to say that the past few years have not been easy for the striker, scoring only nine goals in total since his big-money move to Leicester in 2016. Failing to score at his previous club Newcastle United, Slimani will feel he has something to prove in the Premier League. His aerial ability is up there with the best in the world and on his day can be a real threat to any opposition. Southampton will be hoping to get the best out of the striker if they manager to sign him as they attempt to avoid relegation. With none of the Saints' strikers showing consistent goal-scoring form, the Southampton boss will be hoping that adding Slimani to the squad will be the solution. Perhaps the acquisition of another striker could inspire his attack to be more consistent as it will threaten their spot in the starting lineup. However, for any sort of deal to go through - his parent club Leicester will have to terminate the striker's current loan deal with Fenerbache and then agree a deal with Southampton.